I'm a Professional Web Developer and WordPress CMS expert! Actually, I love Divi and Elementor . Also Avada Theme and many others. Skilled in PHP 7 and MySQLi , HTML5, CSS3, Js / jQuery , Vue.Js , WordPress CMS, Shopify CMS, etc. 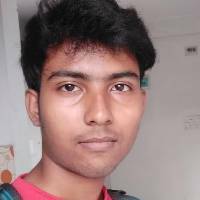 Already have experience as a Web Developer in Fiverr and UpWork ! I'm also familiar with Data Entry works..